Which is more "chilling": Saving abortion survivors or leaving them to die in utility closets? 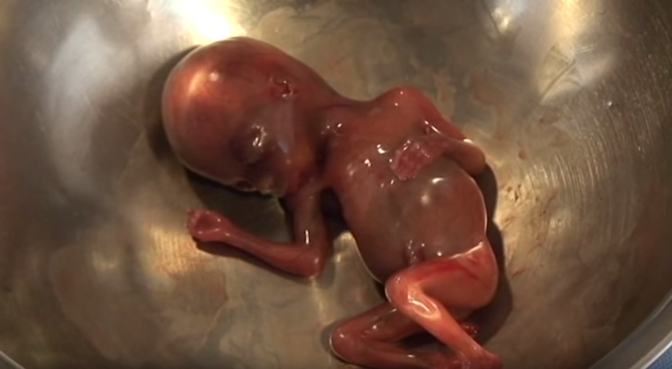 Which is more “chilling”: Saving abortion survivors or leaving them to die? The House Judiciary Committee is conducting hearings on Planned Parenthood, America’s largest abortion chain. Two of the witnesses it called last month were pro-life activists Gianna Jessen and Melissa Ohden. Both women were born in the same year, and there’s something else they have in common: they weren’t supposed to be born at all. Jessen and Ohden were delivered during failed abortions. They received life-saving medical treatment, but that isn’t the norm. Surviving newborns are often either denied care or deliberately finished off. Earlier this year, former tissue procurement technician Holly O’Donnell spoke about how she was told to harvest brain matter from an aborted baby whose heart was still beating. H.R. 3504 has been introduced in response. Known as the “Born-Alive Abortion Survivors’ Protection Act,” the bill requires that medical care be rendered to infants who survive abortions. While it passed easily in the House of Representatives, it turns out President Obama isn’t a fan, with a White House memo promising that the legislation will be vetoed if it reaches his desk. The memo argues that these new requirements could “have a chilling effect” on abortionists. Obama offered similar reasoning when, as a state senator, he opposed a law to protect abortion survivors in Illinois. This was despite testimony that surviving infants were being left to die in a utility closet. Given his record, some have dubbed the president an abortion absolutist. Thankfully, there’s another term that also fits him: lame duck. In just over a year, Americans will go to the polls. Between now and then, pro-lifers need to let the candidates know what their expectations are. They include investigating Planned Parenthood and redirecting its half billion dollar subsidy to community health centers. However, simply protecting newborns has to be among the most basic. It’s not clear whether H.R. 3504 will create a any sort of “chilling effect,” but do you know what does? Being born prematurely, kept out of an incubator, and then abandoned in a cold utility closet. That’s probably the sort of thing we should be a little more concerned about.